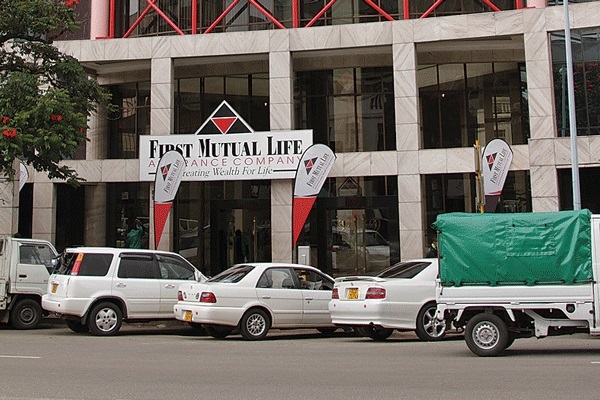 The Competition and Tariff Commission (CTC) has approved a deal that would see First Mutual Holdings Limited (FMHL) acquiring NicozDiamond Insurance Ltd total issued share capital. The merger with Tristar Insurance Company (TICL) has already started following its successful acquisition by FMHL last year. Last year, FMHL acquired an 80% stake in NicozDiamond, a process that will see NicozDiamond merge with TICL before it delists from the Zimbabwe Stock Exchange (ZSE). The 80,9% share acquisition will see the operations of FMHL's subsidiary, TICL which is a short term insurance company creating a single short-term insurance business with Nicoz Damond. While there have been fears that the acquisition would risk dragging the short term insurer into a shareholder dispute at FMHL, CTC approved the acquisition, classifying it as a horizontal merger. "NicozDiamond, a company listed on the Zimbabwe Stock Exchange, is a registered short-term insurance company in Zimbabwe which also holds shares in insurance companies in Malawi, Mozambique and Zambia. The acquirer, First Mutual Holdings Limited (FMHL) has a short-term insurance subsidiary, Tristar Insurance Company. "In terms of the transaction, the operations of TICL would be merged with NicozDiamond to create a single short-term insurance business. Subsequent to the acquisition, NicozDiamond would become a subsidiary of FMHL. "The transaction was classified as a horizontal merger," said CTC in a statement this week. The transaction is one of the six merger and acquisition deals assessed by CTC in the Q4 2017. In 2017, another insurance giant, Zimre Holdings Limited (ZHL) then a critical and long-time shareholder in NicozDiamond, was reportedly looking for the exit door, fearing diminution of value as a result of the planned transaction. However, Zimre indicated that it was not in a hurry to dispose of its 30, 03 % stake in NicozDiamond after mutually terminating negotiations with potential buyers. ZHL's shareholding in NicozDiamond was part of an 80, 92% shareholding that FMHL intends to acquire under a share swap deal. FMHL, whose subsidiaries are involved in life assurance, medical insurance, short term insurance, property investment, reinsurance and actuarial services, has had a troubled past, characterised by shareholder turmoil since its demutualisation at the start of the millennium. Investments analysts are on record saying the transaction is likely to affect the reputation of NicozDiamond, even though it could enlarge FMHL's short-term insurance portfolio, currently under TICL.